La Verrière, for groups from 15 to 20 persons. L'Impératrice, for groups from 26 to 40 persons. and showcasing the finest fresh regional products. My fiancé and I came here to celebrate our anniversary and our engagement. We did the tasting menu and it was amazing, multi-note, and exciting without being overwhelming. Even though he is a bit picky, he enjoyed all his dishes. The service was amazing and attentive but not overbearing. It was a great experience! Went for Easter Sunday Dinner. Had the tasting menu. Everything was delicious. Service was perfect. Very friendly, attentive, but not overwhelming. I would definitely recommend. The staff was great, The food excellent and if you are into presentation, it was superb. A reason to visit Montreal again! Everything about Bonaparte was excellent. We would definitely return if we get back to Montreal. Overall, such a great experience of French-Canadian cuisine. The wait staff was very accommodating and lovely. I highly recommend the tasting menu so you can enjoy variety of things. 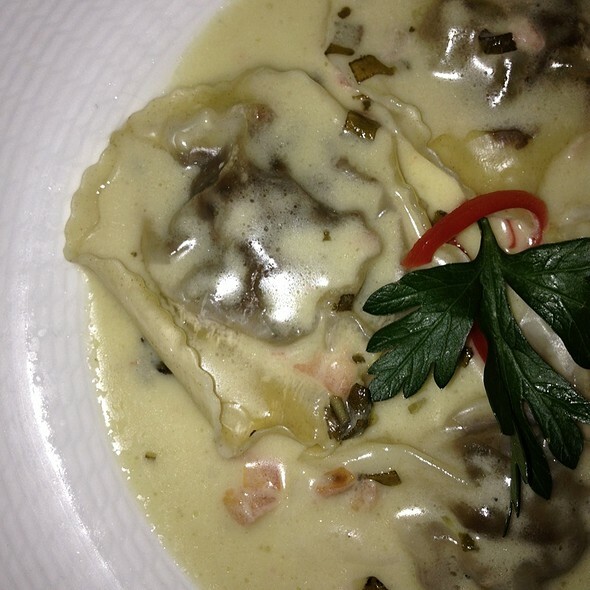 The mushroom ravioli is amazing! An excellent experience from start to finish. We were cordially greeted at the door and escorted to our table. The service was unequaled, the wait staff were always available but never overbearing. The food was deliciously prepared exactly to our request. Definitely on our recommended list. Everything was wonderful . We had a seat in front of the fireplace and everything from the wine we selected to the food was excellent . My husband had the French onion soup and said it was the best he ever had. I had an appetizer of goat cheese and phyllo dough that was amazing . My steak was delicious with a sauce that was lick the plate good . My husband’s salmon was moist and tender. We finished our meals with two soufflés- gran marnier and chocolate - truly amazing meal. I would go back to Montréal just to come back here ! This place is a must if you are going to celebrate a special occasion. 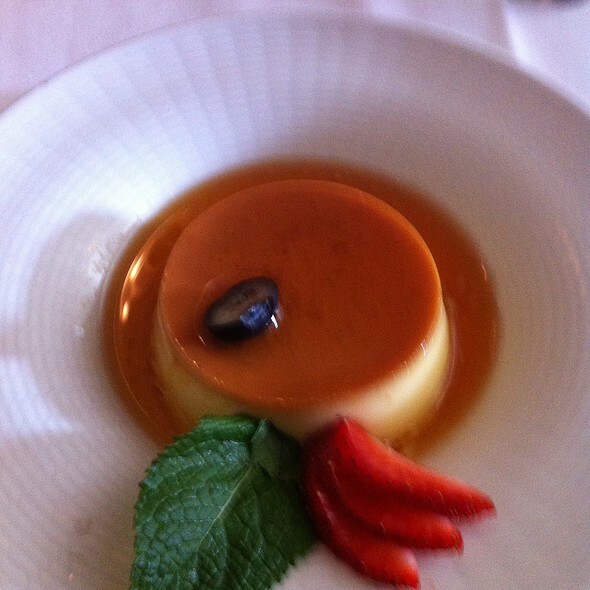 The service was exceptional and waitstaff was very knowledgeable and attentive. They didn’t rush you. As for the food, it is probably one of the best meal we’ve had. 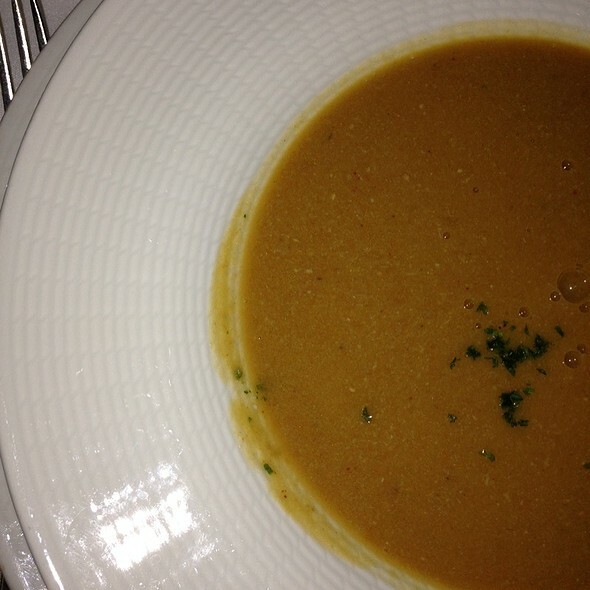 Three out of four of us ordered the lobster stew. I initially thought it was too small of a portion but when I started eating, I realized that they gave you the whole lobster without the shell. I had to give 1/2 of the lobster tail to my son. We plan to come back in the not so distant future to Montreal. Food was underwhelming. Filet was overcooked. Long periods between courses. For these prices I would not recommend it. Fabulous. The Tasting Menu was outstanding. Everything was first class! Highly recommended. 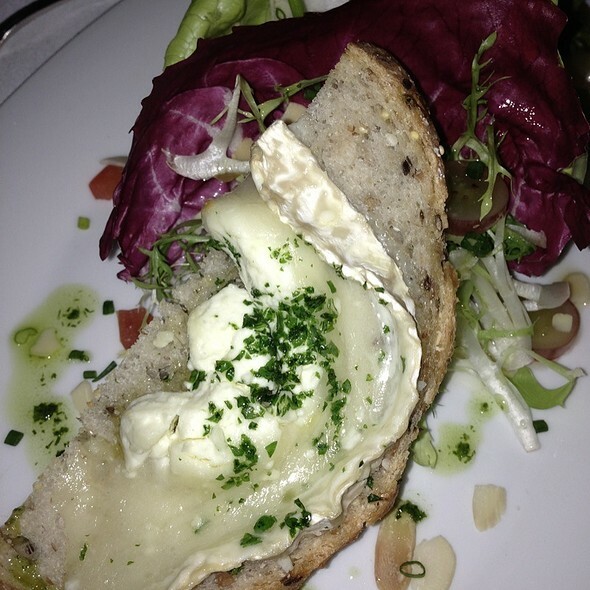 Bonaparte is an exceptional restaurant with great food and service. Starting with a very good Onion Soup with a cheese covered crostini, followed by a perfectly prepared duck breast over a ratatouille. The sauce was perfectly balanced and played very nicely with the vegetables. The Grand Marnier souffle was excellent with perfect consistency and flavors. We had an early reservation in a empty restaurant when 2 minutes in to the first course of our meal another patron was seated within an actual arms length away from us in one enormous dining room.. with not a single other person present. It made our meal really impersonal and baffled both of us. It had the feeling that he was now our third wheel in our dining experience. By the time we left there were still many empty tables within the dining room. Food was just ok. The only thing that was above par was the ravioli. Nothing to brag about. Amazing Service, Food and Ambience. Have been going for years and it never disappoints! Once again, an impeccable job by the staff at Bonaparte ... one of my favorite restaurants ANYWHERE! I do not get to Montreal very often, but dinner at Bonaparte is a must-do for me every time. From the moment you walk in until the moment you leave, you are made to feel at home. Extremely courteous & efficient staff. My server this time was Catherine, who is a very charming young lady & added to the overall experience. Very knowledgeable & attentive, she took a general interest in my experience. I'd also like to mention the maître d'hôtel, Martin, who was equally welcoming. The food was, as always, simply fabulous. I enjoyed the Chef's tasting menu, with just enough of a number of items to feel satisfied but not stuffed. I highly recommend Bonaparte for a special meal. 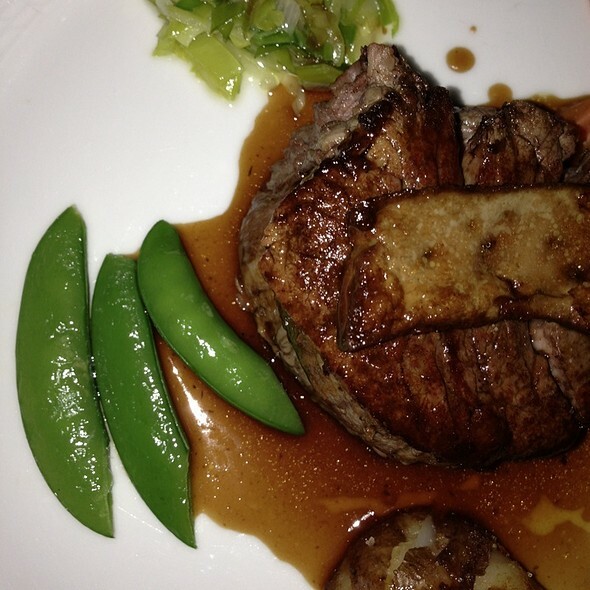 The food was delicious, our Waiter Carsten was outstanding and his recommendations were spot on. I highly recommend the 6 course meal it was well worth the price and you are able to sample many different dishes to get the full experience. Highly recommended this place!! The food and service was superb.Will definitely be back. We are always delightfully surprised when we go to this restaurant. It is always pleasant, charming, food good, service good. An all around good restaurant that has been in business a long time but that still continues to be as great now as it was 10 years ago. Well done! 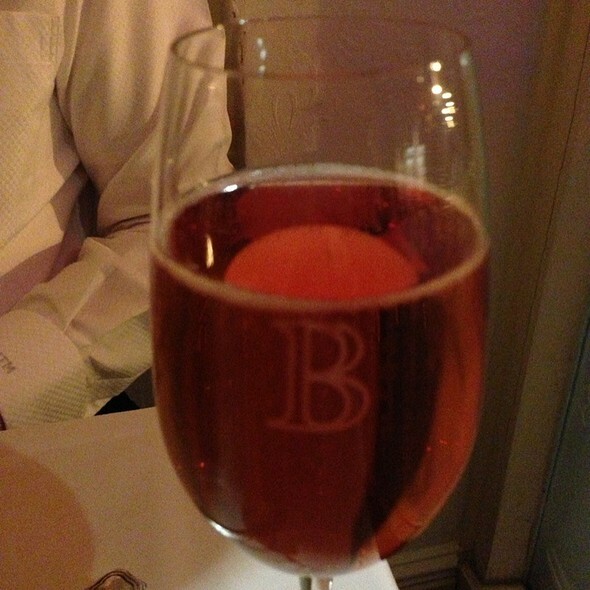 Always great service and great food at Bonaparte. 2 of us had the Grand Marnier soufflé - few places could do it better. Fabulous! This restaurant has been a favorite of mine for many years when going to the Centaur Theatre. 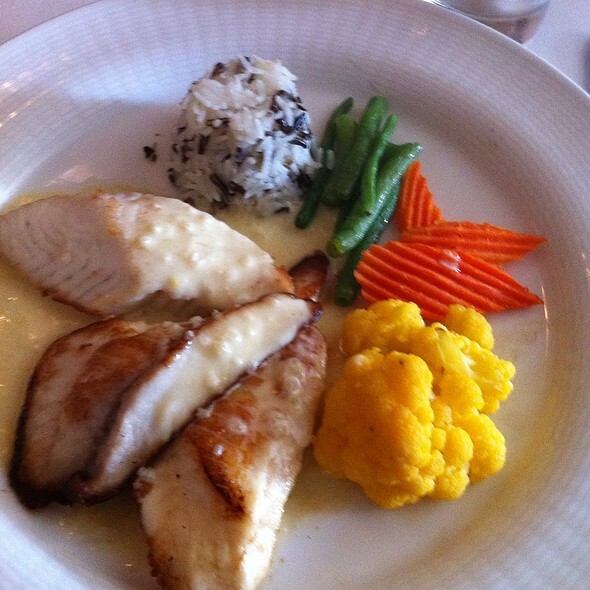 It is always a very good meal and an enjoyable experience. This last visit was no exception. The service was excellent in all respects and the meal was also very good. We ate from the theatre menu. 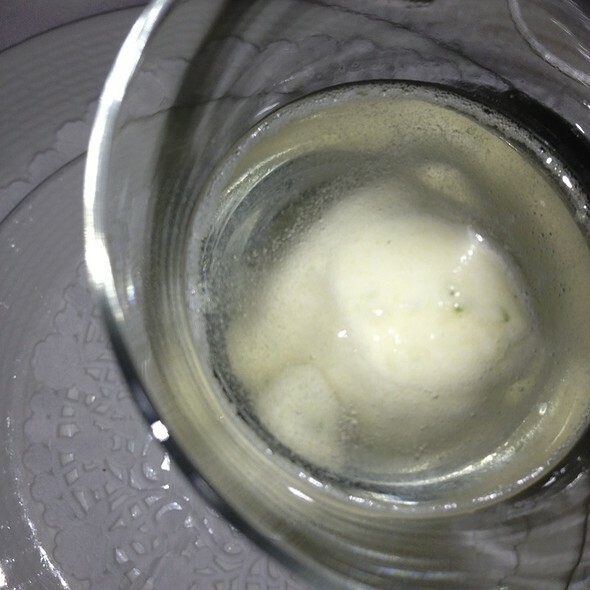 My husband and I both had the tasting menu, so we had the opportunity to try many things. Everything was delicious, but the standouts were the mushroom ravioli and rack of lamb, so flavorful and cooked to perfection. My husband saw someone with a soufflé and opted to have the grand marnier soufflé dessert while I had the symphony of desserts that was included in the tasting menu. Both were outstanding. Excellent service! Serveur attentionné et intéressé! Vaut le prix! From the moment we sat down we were wined and dined by our exceptional server. Our meal was superb. The filet of beef prepared to perfection. What a wonderful evening was had by two New Yorkers! Nice French food and good ambiance. Table d'Hote is good and offers a variety of choices. Pate was nice and the beef was very tender. Chocolate Mousse was not properly set and a bit sweet and watery. 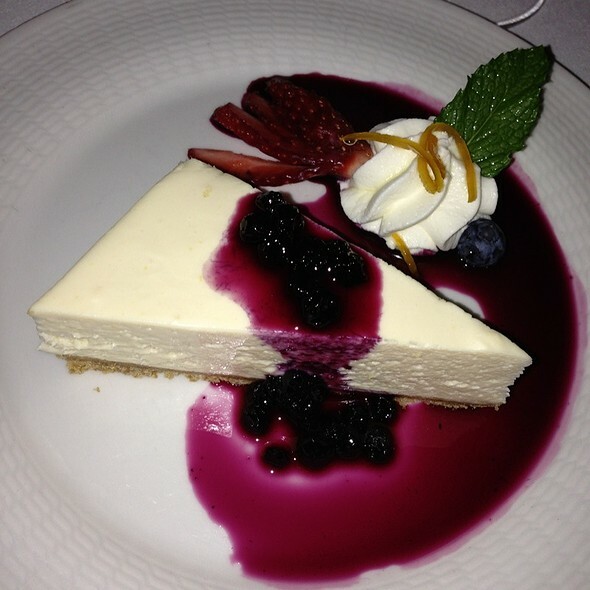 Excellent food, cozy, elegant and great service ! A wonderful experience! Fantastic wine pairings on tasting menu! Love the cuisine and drinks. Great service and fine deserts. also with beautiful view outside. ~Definitely worth to come again! I had a delicious meal, with great service, in a warm and cordial setting. It doesn't get better than that! Outstanding food and service. We both had the tasting menu and each dish was fantastic. Wine list is very complete. Would reccomend to anyone. A gem in Montreal’s old port! Every visit is a new wonderful experience ! !